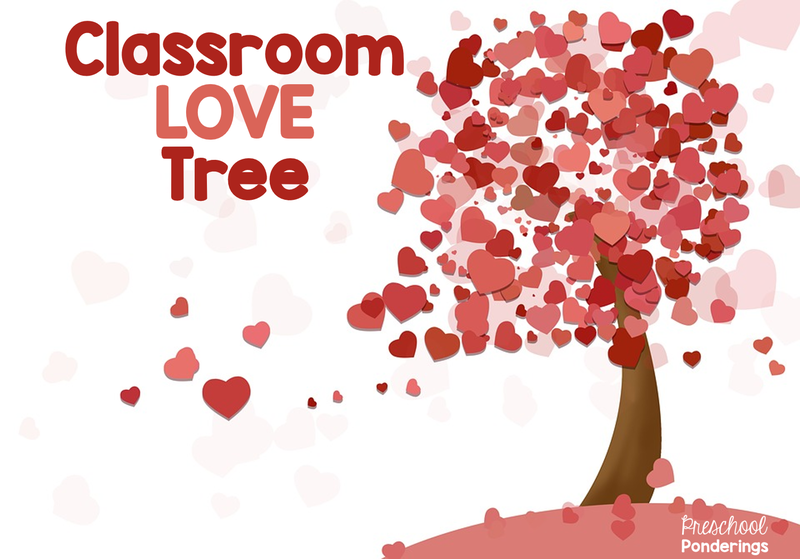 There are a ton of ways that you could create a love tree. The basic idea is to take some kind of tree branch - or you could even decorate a small Christmas tree - and hang paper hearts from the branches, similar to a thankful tree that you might do for Thanksgiving, but in this case ask parents, family members and your students to write down the things or people that they love. It's an easy enough way to create a visual of all the things and people that are important to us. I've got a little twist for you. Instead of just writing down the names of things and people that your families love, encourage them to write down all of the ways that they show love. This is so helpful for the children because love is an abstract concept that can be very difficult to define. When the children see all of the different ways that we show love, they have a better understanding of what love actually is. This is also a great conversation that you could have with the children - how do our families show us that they love us. Some of their answers might surprise you!